Today, I treat with respect that the Program’s credo “Let Go and Let God” does not absolve me from responsibility for my condition as an alcoholic and from active participation in my redemption from the damage and pain to others of my drinking days. “Let Go and Let God” commands that I turn my will over to the Higher Power of my understanding to gain the knowledge of HIS will for me and “the power to carry (it) out.” It does not give me the easy out by expecting God to do it for me. 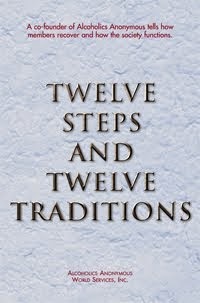 In accepting an active role in my recovery instead of thinking it will come to me by reading the Big Book and going to meetings, I understand that sobriety is a two-level process; on the surface, I cannot drink; on a deeper level, I cannot expect a fundamental change in spiritual and emotional conditions that comes solely by not drinking. 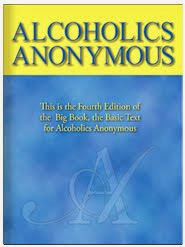 I am responsible for my condition as an alcoholic; likewise, I am responsible for my recovery. “Let Go and Let God” does not dismiss me from either responsibility. Today, I “Let Go and Let God” by surrendering MY self-will and listening for God to show me HIS will and how to carry it out. And our common journey continues.